Dream Chased Cargo System (DCSS) for NASA's ISS Commercial Resupply Services II (CRS-2) program. Note that it's wings now fold so it can launch within a 5+ meter fairing, which simplifies the aero load modeling. The crew version basics are still there with life support, windows etc. removed so if chosen the system could get flight history in preparation for a future Commercial Crew 2 competition. Besides the fact that it looks like a space version of a pickup truck with a trailer on its tail, the major flaw in this system I see is that they use the smaller variant of the docking system! This means that they are basically going to be limited to food, clothing, etc. No experiment racks, hardware (unless its like... laptops, camera's), etc. I would be REALLY surprised if this system gets picked! Their _only_ benefit is the ability to return cargo practically directly on NASA's doorstep by landing at the Shuttle Landing Facility at KSC. Even that is of iffy utility because Dragon V2 is capable of landing at Landing Complex 1 (LC-1) at KSC (formerly LC-13), Vandenberg's SLC-4W landing complex (LC-2?) or, as recently hinted at by Shotwell, Ellington AFB ~9 miles from the NASA's Johnson Space Center in Houston. That's 3 doorsteps, minimum, and we haven't even seen SpaceX's CRS-2 proposal. This just keeps getting better and better. They are seriously struggling to hang on. SNC is still working with StratoLaunch on a smaller 3 person Dream Chaser to be launched on their system. John Olson, SNC: 92% of Dream Chaser components are reusable; vehicle has a design life of at least 15 missions. Olson notes Dream Chaser is launcher agnostic, shows it on Atlas 5, Ariane 5, Falcon Heavy, and future H-3. Olson: while NASA is currently our anchor customer, we envision flying 3-4X of our revenue will come from non-NASA customers. Olson: we don't have a billionaire benefactor looking to become a millionaire. But we are putting >$500M into vehicle development. Olson: for Dream Chaser missions, launch and insurance 2 biggest costs. Prorated cost of vehicle itself will be much lower. What's visible is mostly thermal panels, with a few outer skin panels. 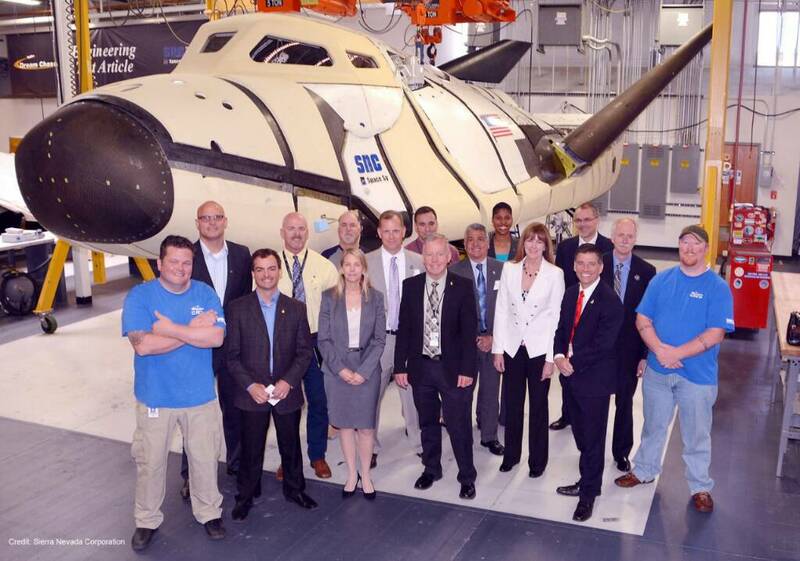 Dava Newman, NASA's deputy administrator, fifth from the left, and William Gerstenmaier, associate administrator for NASA's Human Exploration and Operations Mission Directorate, second from right, toured the Sierra Nevada Corporation's Dream Chaser facility in Louisville, Colorado. SNC’s engineering test article of the Dream Chaser spacecraft is being assembled for a free-flight test later this year at NASA's Armstrong Flight Research Center in Edwards, California. The free-flight test is part of the company's developmental agreement with NASA's Commercial Crew Program. Only thing I see it being good for is hauling people and a little bit of cargo in their place (2,000 lbs or less). Lifeboat, Escape Pod, Rapid-Access Craft if something needed to get uphill to the ISS in a hurry, or if an emergency evac from the ISS for a medical or family emergency, etc. Then yeah, it's got a use if they can process it quickly enough. Don't get me wrong; it's a decent design, and for what it is it's got several good niche's it can fill. And we all like the reusability, so long as it isn't the "pipe dream" that the Space Shuttle was and if DC is built correctly. Hope it works out, we need everyone in "newspace". From the Next-Generation Suborbital Researchers Conference in Colorado. SPARKS, Nev. (July 28, 2016) – Sierra Nevada Corporation’s (SNC) Dream Chaser full-scale, flight test vehicle is ready for transportation to NASA’s Armstrong Flight Research Center (AFRC) in California where Phase Two flight tests will be conducted in coordination with Edwards Air Force Base (AFB). Dream Chaser program upgrades and initial hardware testing were completed at the Louisville, Colorado spacecraft assembly facility, and within the next several weeks the same Dream Chaser vehicle that conducted Phase One flight testing will arrive at NASA’s AFRC. Upon arrival, SNC will begin a series of pre-flight ground evaluations to verify and validate the vehicle’s system and subsystem designs. After successful completion of all ground testing, Dream Chaser will begin its Phase Two free-flight testing. These activities are being conducted through a Space Act Agreement with NASA’s Commercial Crew Program (CCP). The vehicle will undergo a series of tests building on those performed in Phase One, including tow-tests, pre-flight tests and ending with free-flight testing. SNC is also performing additional critical tests to validate the Dream Chaser’s orbital flight software and calculate the spacecraft's handling and performance characteristics. Along with other pre-flight and post-flight evaluations, this data will be used to confirm Dream Chaser’s subsonic aerodynamic properties as well as flight software and control system performance requirements. Photo Cutline: Dream Chaser test vehicle prepares to ship. Sierra Nevada Corporation delivered its Dream Chaser spacecraft Wednesday to NASA's Armstrong Flight Research Center in California, located on Edwards Air Force Base. The spacecraft will undergo several months of testing at the center in preparation for its approach and landing flight on the base's 22L runway. 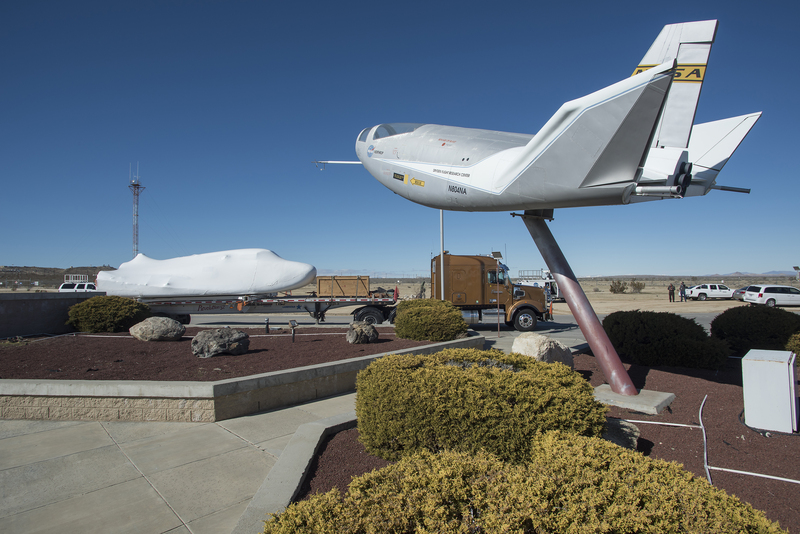 The Dream Chaser spacecraft pictured in California's desert as it heads to Edwards Air Force Base. 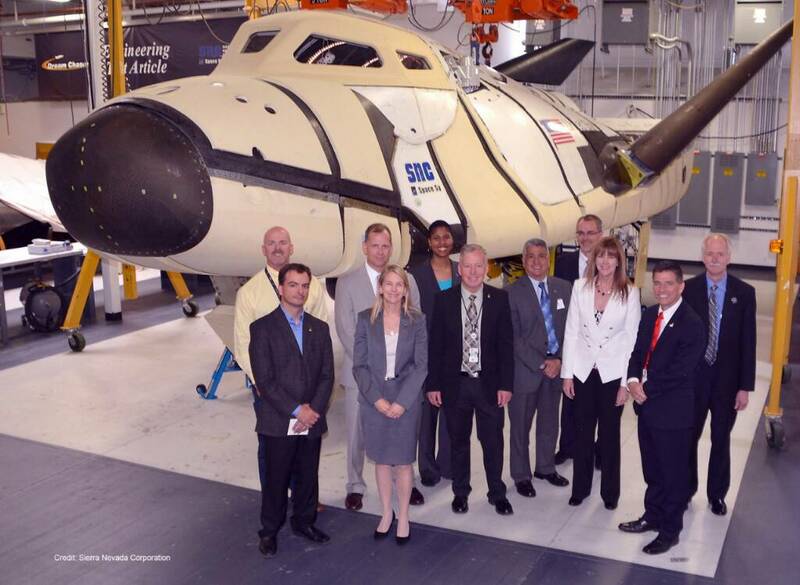 This week SNC took another significant step towards that reality, delivering an engineering test article of their “mini shuttle” to NASA’s Armstrong Flight Research Center in California, located at Edwards Air Force Base, where it will now undergo several months of testing in preparation for its next approach and landing flight test on the base’s 22L runway. SPARKS, Nev., May 25, 2017 SPARKS, Nev. (May 25, 2017) Sierra Nevada Corporation (SNC) successfully passed the third integration milestone for the Dream Chaser program under the NASA Commercial Resupply Services (CRS2) program, bringing it a major step closer to providing resupply services to the International Space Station (ISS). CRS2 Integration Review #3 (IR3) confirmed SNCs Dream Chaser Cargo System design meets NASAs key requirements and maximizes probability of mission success during future flights. The spacecraft is scheduled for at least six missions between 2019 and 2024. The reliability of the Dream Chaser design was also thoroughly reviewed as part of NASAs Phase I Safety Review Process, which successfully demonstrated safety and mission assurance criteria. The reviews covered all stages of mission operations including ground, launch, flight and landing. Passing the third CRS2 integration milestone is a really big deal for the program and its future, said Steve Lindsey, vice president of Space Exploration Systems for SNCs Space Systems business area. We are proud of this accomplishment and are well on our way towards completing the next critical milestone and the remaining developmental phases. Its a great feeling to be executing all our milestones on schedule and to be moving forward to our operational flight. The spacecrafts unique cargo design transports more cargo mass (5,500 kilograms) to the ISS each mission. In addition, a significant amount of cargo, almost 2,000 kilograms is directly returned from the ISS to a gentle runway landing at a pinpoint location. Dream Chasers all non-toxic systems design allows personnel to simply walk up to the vehicle after landing, providing immediate access to time-critical science as soon as the wheels stop. The complex and thorough review process found no significant design, build or system issues and underscored the Dream Chasers readiness for flight. In addition to completing this milestone, the Dream Chaser atmospheric test vehicle is in preparations for flight testing that will help verify these designs. The spacecraft is currently testing at NASAs Armstrong Flight Research Center in California, having just successfully completed Phase One ground testing leading up to its second free flight test later this year. The first launch of the Dream Chaser will be made by an Atlas V launcher from ULA. However, to date, the mini-shuttle of Sierra Nevada still has no launcher . The company - which has signed a contract with NASA for the provision of freight services to and from the International Space Station (ISS) for at least six flights - has therefore launched a call for tenders to operators of launch. The decision to award the contract is expected this spring. It'll be the only current Human-rated rocket among the bunch capable of getting it uphill that isn't currently on the drawing board. The first launch of the Dream Chaser will be made by an Atlas V launcher from ULA. I'll just say what I think about that with Chris Farley. I thought this was only for CRS not the human component. I suppose they should go with the provider which can provide them human launches when the time comes though. This is for a contract that starts in a 19 months only 2 of the providers are currently flying. Will NASA allow them to Launch from Europe or would Arianespace need to launch from the USA. It would be better for SNC to have more than 1 provider however this being able to keep flying if there was an issue, also from memory some European parties were in talks with SNC about the dream chaser. Ariane 5 is flying, but Ariane 6 won't fly until 2020-ish. Getting the CRS Round 2 contract is a means to an end: to find the remaining work on Crew Dream Chaser. Then it can compete in the Commercial Crew Round 2 program in the early 2020's. Dream Chaser was designed to be launcher agnostic and ITAR free (US arms control regulations), allowing it to fly on overseas launchers. Ariane 6 would be from Kourou, French Guiana. There was also a program at ESA Germany called DC4E (Dream Chaser for European Utilization) which is still ongoing, and the United Nations Office for Outer Space Affairs (UNOOSA) plans at least one Dream Chaser mission so member states without space programs can fly their experiments. Dream Chaser will use ESA's IBDM androgynous docking port - built by QinetiQ, SENER, Ruag AG and Maxon. My money is on ULA. Lockmart already has their hands in the pot on DC. Too many old space companies involved with this one. Maybe not, for costs and Vulcan still isn't a done deal because Boeing has been driving that boat. Boeing itself has talked about Falcon 9 for Crew Starliner after the 2-3 contracted Atlas V launches because of costs. New Glenn would provide added launcher redundancy for cargo. And the Boeing/LockMart paperwork to form/regulate the cooperative venture (aka ULA) has expired, but that doesn't really mean much in the grand scheme of things I think. Pentagon oversight being chief among those items that's expiring, so my personal opinion is that ULA will continue as-is for now. Something I find interesting is that there's been NO movement of the BE-4 or Vulcan development process .. sooooo ... either nothing is going on right now from the minor kaboom (most likely) or they're not moving on it because ULA doesn't actually have the funding to move on it. With all that's transpired on SLS's development woes that wouldn't surprise me. So where does that leave DC as far as a launcher go? Atlas V, Arianne 6, or Falcon-9. Or New Glenn, assuming it fles on time. That's what I'm thinking too. 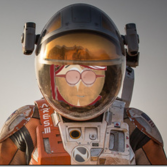 If ULA is relying on New Glenn, then we'll know the answer for sure about ULA's future. They may end up being more a procurement company, applying a Vulcan decal to New Glenn lower stages & sticking ACES on top. Whoops didn't notice it said 6 not 5. So "six missions between 2019 and 2024." Ariane 6 - Testing 2020 most likely 2021/2022 for actual launches. So 2-3 years possible launches. New Glenn - Testing 2020 most likely 2021/2022 for actual launches. So 2-3 years possible launches. Vulcan - Testing 2019 most likely 2021/2022 for actual launches. So 3-4 years possible launches. But this may never fly. From the above they pretty much have to use Falcon 9 unless the revert to using the Atlas/Delta or Ariane 5. Both SpaceX and boring are competitors of SNC for the Crew/CRS missions, so they may look to using Ariane 5 until New Glenn is flying. Depending on costs though, i dont think the Atlas/Delta/Ariane will be able to keep their costs in check. Do the 6 missions have specific times or could they just do all 6 missions in 2024? The same type of extensions took Dragon from 12 CRS Round 1 missions to 20. And there's a new competition coming to resupply a lunar orbit space station.